You’ll be supporting local musicians. There’s nothing to beat the feel of a live band, and you’re supporting passionate people who play simply because it’s important to them. The band and dance caller will work with you to ensure that everyone enjoys the evening and leaves with great memories – read our testimonials! DJs are a lottery. There are plenty of bad DJs, but comparatively few bad ceilidh bands. Nobody’s competing. The worst part about any disco is the awkward (and inevitable) comparisons you make with other people: Are they more in sync with the beat? Am I really impressing anyone? 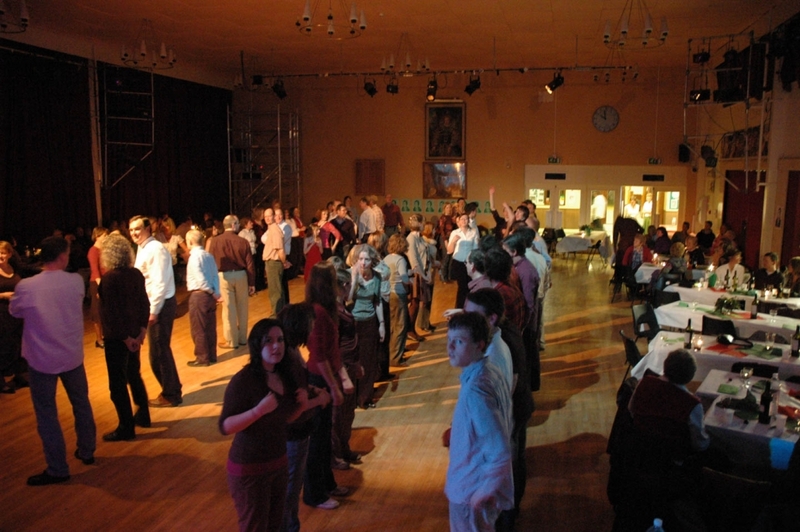 Doesn’t happen at a ceilidh: everybody’s basically dancing the same dance, everyone is on a (more or less) even keel, and you can all mess it up together. There’s no compulsion to dance every dance. 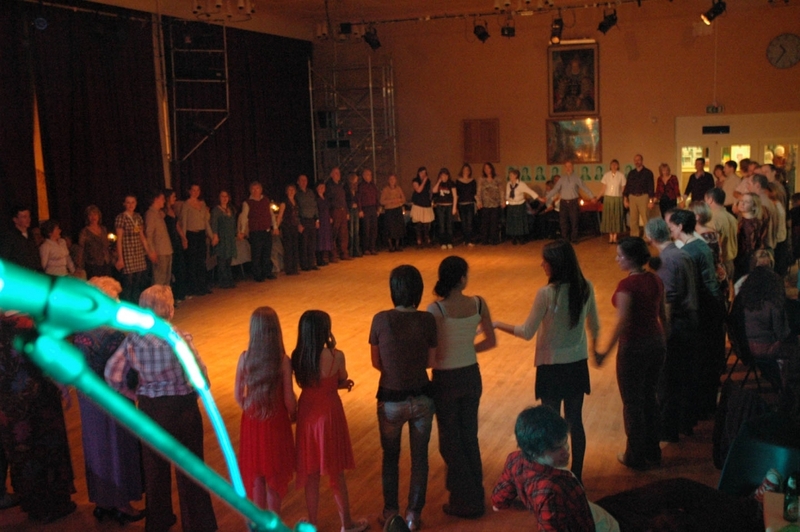 The relaxed breathing space that a ceilidh grants you means you only hit the floor when you really want to – and if you don’t, you can chat and enjoy watching others dancing. You don’t have to worry about remembering all the moves – that’s why the caller is there. They’ll walk you through the whole dance, and then talk you through it when you’re actually dancing. 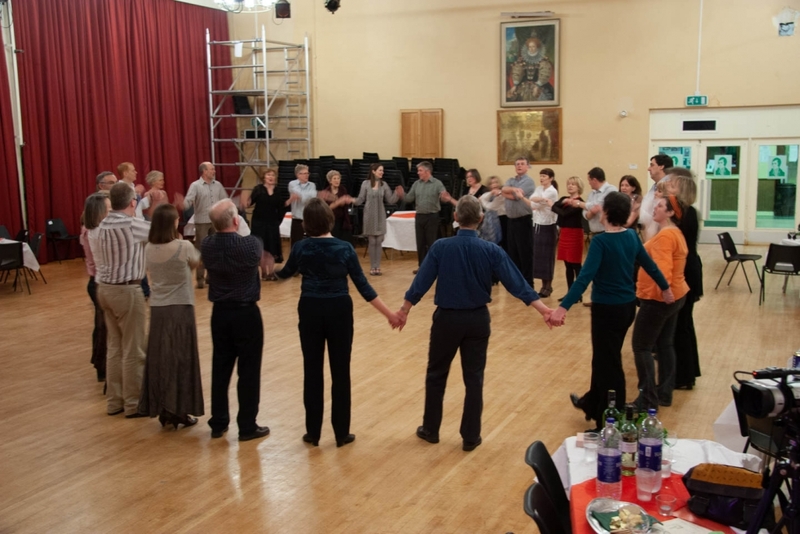 The Circassian Circle is great fun – a popular starting dance, it’s basically a great big Hokey Cokey for grown-ups. And anyone can do it. You don’t have to worry about grumpy DJs refusing your requests. Or, worse still, clueless DJs playing songs that your friends should never have requested. You’ll feel a sense of genuine satisfaction when you finally manage to join in and enjoy the fun . ‘My gosh, how on earth am I going to remember all this?!?’. But it’s great when you actually get the hang of it. It brings people together – no complaints about inappropriate or excessively loud music. Children and parents and grandparents all dancing together. There’s something magical about it. 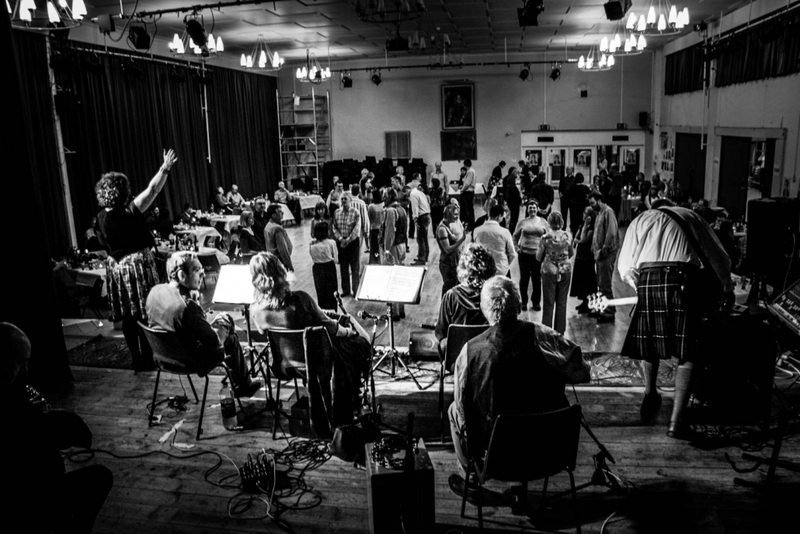 And best of all, ceilidhs are great for any time of year – not just weddings.